In every league, no matter the size, some players just fall by the wayside. Sometimes these are post-hype sleepers, although nowadays it seems even the main stream fantasy writers are talking about those players, other times we forget about bounce back candidates who may be coming off an unlucky or unproductive year and lastly is always a group of players who missed a considerable amount of time do to injury. Today I want to talk about some of the MiLB prospects who’ve seen their star fade because of injuries and may be forgotten or undervalued in your league. Dylan Bundy, SP, Bal – Once the toast of the town Bundy has seen his prospect ranking fall from a surefire top 5 to somewhere in the mid 20s, while this means he’s not be forgotten his value is currently at an all time low. 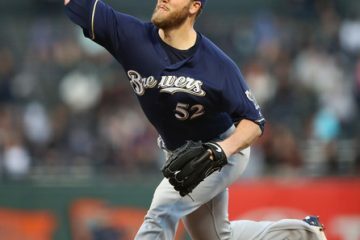 While Tommy John surgery is still not entirely a sure thing the risks associated with it have diminished greatly over the years and we’ve seen many quality SPs come back to regain the same form they had prior to surgery. Bundy still has a #1 pitchers ceiling and is due to return to baseball sometime between May-August of 2014. This put Bundy on track to be a MLB regular, albeit with a somewhat limited pitch count, by 2015. If Bundy’s current owner was hoping to use him to contend in 2014 you may be able to get Bundy for a significant discount. Rymer Liriano, OF, SD – Rymer Liriano’s intention was to begin 2013 with the MLB club but a UCL injury forced him into Tommy John surgery. The good news is that in 2014 Liriano will be right back in the same position of fighting for a MLB roster spot. TJ surgery is nothing to be alarmed about when it comes to hitters and Liriano doesn’t just sport a cool name, coming into the 2013 season Liriano was a heralded prospect and touched as high as #49 on Baseball Americas top 100 prospect list. With his main calling card being his speed (66 SBs in 2011 & 38 SBs in 2012) Liriano also bring solid pop to the table and profiles as an above average fantasy player who could put up 15 Hrs and 30 SBs with ease as a pro. Really the only knock here is an above average strikeout rate but at this point that is just nitpicking. Casey Kelly, SP, SD – Oh my god, guess what?!? Kelly also missed all of 2013 with TJ surgery. The same caveats apply here as they did with Bundy and any pitcher who has to go through TJ surgery but Kelly should be ready for spring training 2014 and able to step right in to the MLB rotation. After moving quickly through the Red Sox organization Kelly was dealt to San Diego in the Adrian Gonzalez trade and quickly moved through the SD farm system making his MLB debut in 2012. Kelly should be able to easily post a sub 4 ERA with 7+K/9 in 2014. Add in the fact that he gets to call Petco his home and all of the sudden you have a great mid rotation SP for your fantasy staff. What about Manny Banuelos? He’s a sleeper that I’m going to target in my dynasty league draft (along with Liriano and Kelly). He should be healthy by spring training and could be in the Majors by mid-season. Chris, I actually think a lot of the Yankees MiLB guys could be good buy low options. Mason Williams has tons of tools and was expected to put them together last season but didn’t and Tyler Austin always seemed like a corner bat to me but lost his footing after a breakout 2012. Banuelos has good stuff and the same TJ caveats as any SP, I would put him just below the guys on this list but definitely one to watch.